“Every product we personalize has a heartbeat; it represents a person!” That is the thought behind every product sale from Initials, Inc, a leading direct sales company that offers FREE personalization on their gorgeous handbags, totes, scarves, and more. Through home parties, online sales, vendor events, fundraisers, and one-on-ones, Independent Initials Inc Creative Partners are changing their lives, one bag at a time. Right now the Initials Inc Creative Partner Business Opportunity is available – FREE! 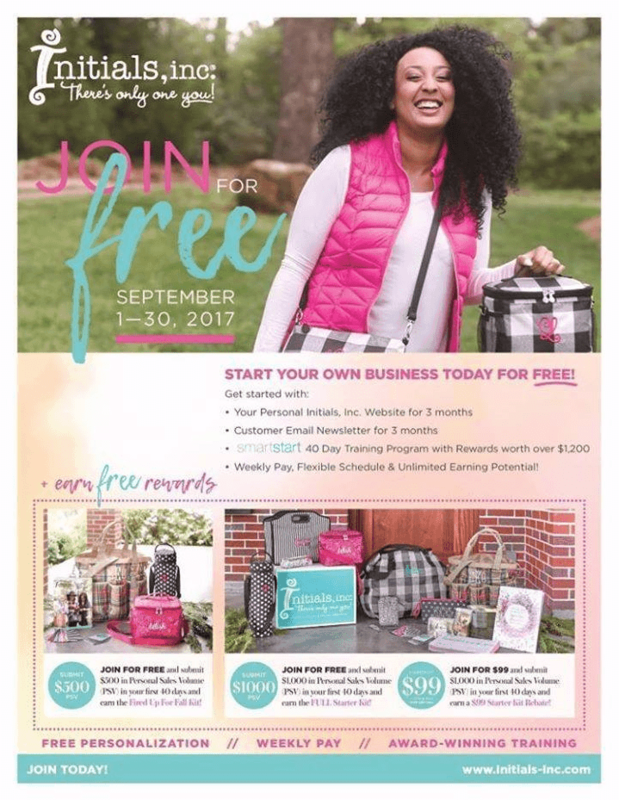 With the September Promoting you can join Initials Inc and get started without any upfront costs! As an Initials Inc Creative Partner, there is no need to carry inventory, and you can run your business through many different income streams. With gorgeous products, a great Hostess Plan and a generous Compensation Plan, Initials, Inc is a trifecta of success in the direct sales industry. They even offer a Smart Start Program with additional training and incentives for the first 100 days of business. I want to start out with my why! Why I started Initials, Inc. and why I am so thankful I did. For 17 years I was a stay at home mom with a severely disabled child and another who due to an accident had challenges of her own. In 2014 I came to the realization I had lost myself. I was Cam’s mom to most people and Ashlee’s mom to the rest. I basically knew school personnel and medical care workers. I started looking online for something to get me out of the house and meet people. I found Initials, Inc. and loved the products so decided to dive in. It was the best decision I have ever made. I not only found myself but it became so much more. I now contribute to the finances of my family. I have been an all-expense paid trip to Mexico and will soon be cruising to the Bahama’s for free. I have earned numerous product incentives. And made some of the best friends all over the country. You truly can Have Fun and Make Money with Initials, Inc. We lift each other up and cheer each other on. Our training program is amazing and helps to ensure you succeed. 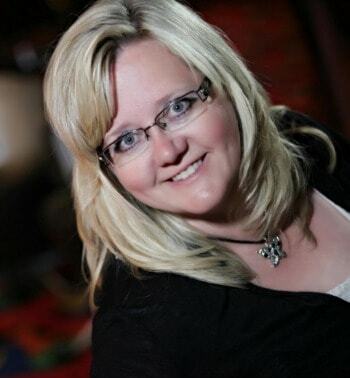 Check out Laura’s website to learn more about how you can get involved with Initials, Inc and be sure to connect with her on her Facebook Page and in her exclusive VIP Facebook Group.